FREE to BOMA Members, Sign Up Now! Industrial Managers... Join Us for Our Next Lunch & Learn! Don't miss out on any BOMA Dallas events for the 2019/2020 year! Click here to download the yearly calendar of events, and save the date. Registration for BOMA Dallas Innovates is OPEN! Vendor booths for BOMA Dallas Innovates have sold out, and we know this will be another awesome show! Registration for all real estate professionals is now OPEN, so click here to register your team! This is an event you don't want to miss. BOMA International and Home Depot have teamed up to offer BOMA members a 2% annual rebate on qualifying purchases! Make sure you are taking advantage of these savings by signing up for the Home Depot Rebate Program! Click here for more information! Did you know you can apply for scholarships for BOMI designation programs, professional development in BOMA, and even college/technical programs? The spring application period is open now through May 15, so click here for more information. Adding value to the commercial real estate industry in Greater Dallas. When you read the title of my President’s Message is Bridging the Gaps, I think most of you will automatically think I’m referring to the generation gap. While that is a glaring issue in our industry, it’s not the only critical gap we need to focus on... Click here to read more. 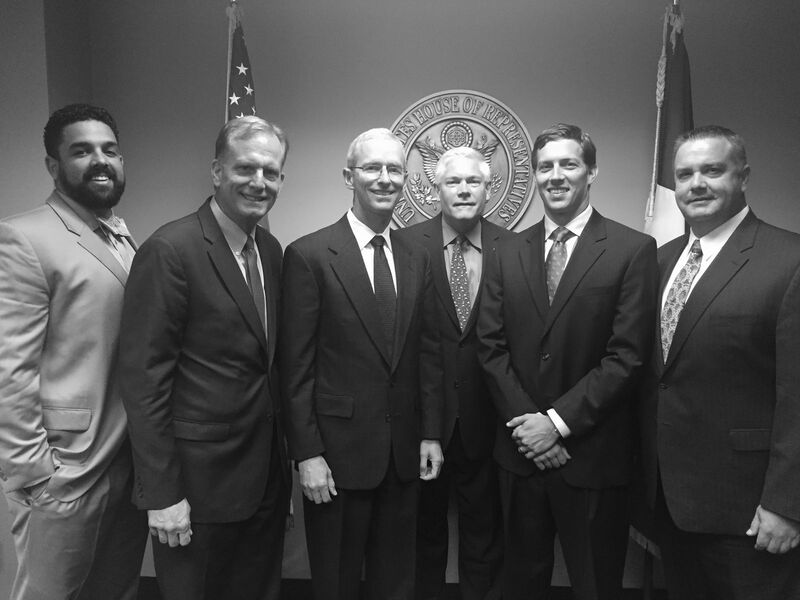 BOMA Dallas represents the commercial real estate industry by establishing relationships with city, state and federal leaders and other governing agencies. Knowledge is power. BOMA Dallas and the BOMA Dallas Foundation are committed to creating a strong workforce by providing educational opportunities for commercial real estate professionals. Networking is a critical part of any successful community. BOMA Dallas provides numerous opportunities to connect with commercial real estate professionals, and those who provide goods and services to the CRE industry, through monthly meetings, team-oriented events and educational programs. The BOMA Dallas Foundation supports charitable organizations serving disadvantaged youth and families by utilizing the skills and resources of our members and by making financial contributions with funds raised through our annual Gala. © 2016 BOMA Dallas. All Rights Reserved.